The Council of Bars and Law Societies of Europe (CCBE) which represents the bars and law societies of 45 countries and through them more than 1 million European lawyers made a press statement on 5th of April that is celebrated as Lawyers’ Day in Turkey. The Council of Bars and Law Societies of Europe (CCBE) takes the opportunity to firmly condemn the ongoing crackdown against lawyers in Turkey. Following the failed coup of 15 July 2016, the Turkish government declared a state of emergency and adopted a series of decree laws which led to a serious undermining of human rights and the rule of law across the country. – 103 lawyers have been sentenced to lengthy imprisonment. These lawyers are currently being targeted for the sole reason of carrying out their professional activities, based on alleged accusations of supporting terrorist organisations. It is estimated that more than 300 lawyers are currently detained in Turkey. 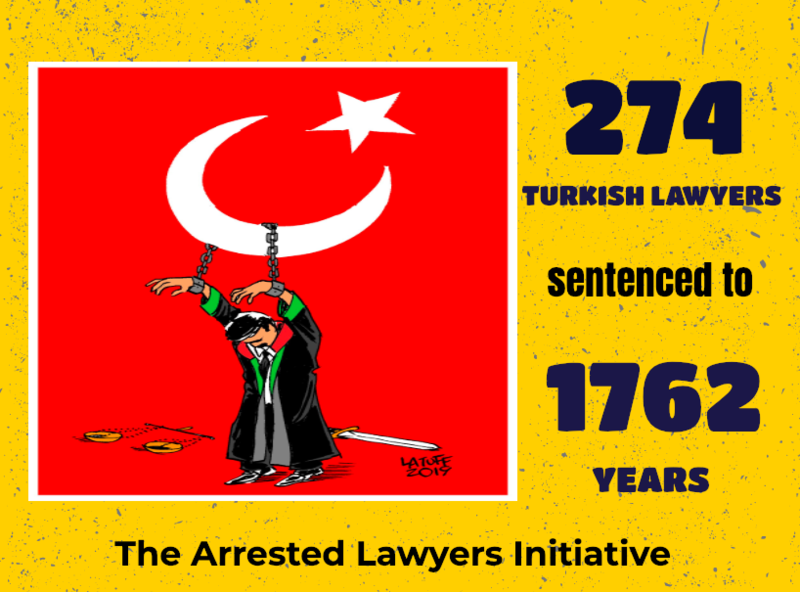 In Istanbul, we understand that more than 100 lawyers are under pre-trial detention. The CCBE stresses that the independence of the legal profession is an essential component in upholding the rule of law in a free society. Indeed, lawyers play a fundamental role in ensuring the protection of human rights and fundamental freedoms. The Council of Europe recommendation on the freedom of exercise of the profession of lawyer N°R (2000) 21 from 25 October 2000 highlights that “all necessary measures should be taken to respect, protect, and promote the freedom of exercise of the profession of lawyers without discrimination and without improper interference from the authorities or the public (…)”. Furthermore, the United Nations Basic Principles on the Role of Lawyers emphasise that Governments must respect and ensure the proper role of lawyers. The CCBE urges the Turkish government to uphold the rule of law and bring an end to the persecution of lawyers. All lawyers who have unduly been detained for carrying out their professional activities should be immediately released.